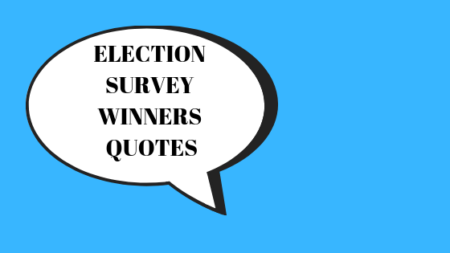 The VSBC would like to congratulate all of the winners in Vancouver’s municipal election. We appreciate those who took the time to complete our survey and want to highlight your responses to our questions. Park Board Commissioners, CIty Councillors, and the Mayor are central figures in our city. These individuals are meant to listen to residents and act as their voice, ensuring that Vancouver’s parks, streets, services, and amenities best serve all of the city’s communities. The VSBC looks forward to working with you on making Vancouver a better, more skateboard friendly city. 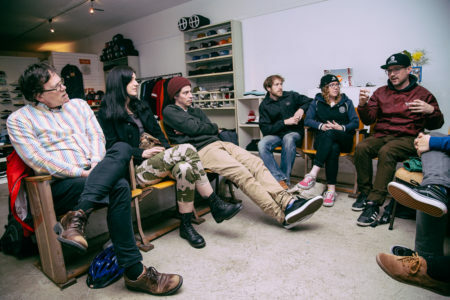 “I would work with your organization to understand the needs of the skateboarding community in terms of recreational space and facilities.” The current infrastructure of skateboard amenities in Vancouver is not extensive enough to meet the needs of Vancouver’s diverse and burgeoning skateboard community. If elected, how would you help work towards a more extensive network of skateboard parks and other spaces accessible to skateboarders? “Some of this might be more a Park and Recreation Board than City Council issue. I do see an opportunity to streamline licensing and by-laws for indoor skate areas. also considering skateboard facilities as a public benefit on new developments as applicable. Canada Skateboard is the national sports organization with the mission to support, promote and grow skateboarding in Canada. 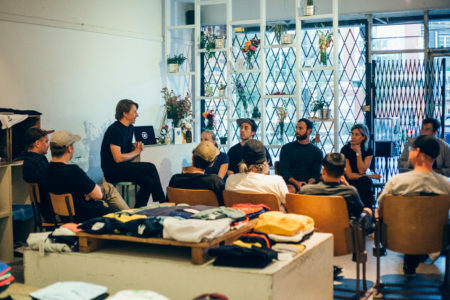 On September the 5th, Jay Balmer, board member of Canada Skateboard, gave the Vancouver Skateboard Coalition a presentation about the reasons why the organization was created, detailed background on its goals and values and plans to continue to support skateboarding in Canada. 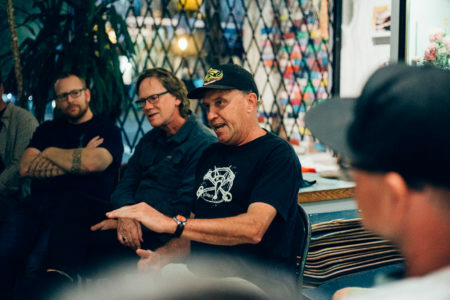 Canada Skateboard board members Kevin Harris and Kyle Dion also joined the meeting and provided personal reasons for joining the organization and their vision for the future of skateboarding. 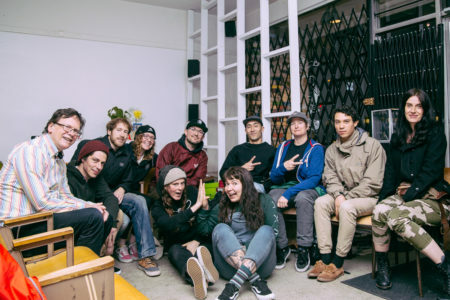 While skateboarding is going through a lot of exciting developments, it was clear that community and culture were in the hearts and the minds of all that were present, and that Canada Skateboard is very similar to the Vancouver Skateboard Coalition, but at the national scale. 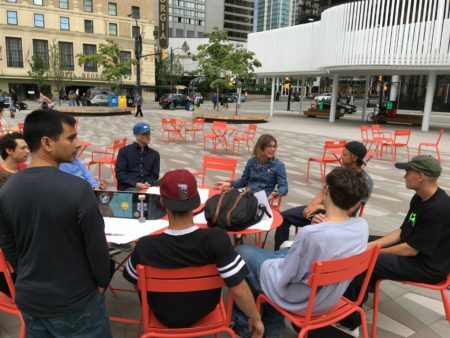 Geoff Dermer, Sasha , Mike and Jen (the City Engineer) organized a meeting with downtown skaters in the Vancouver Art Gallery North Plaza. 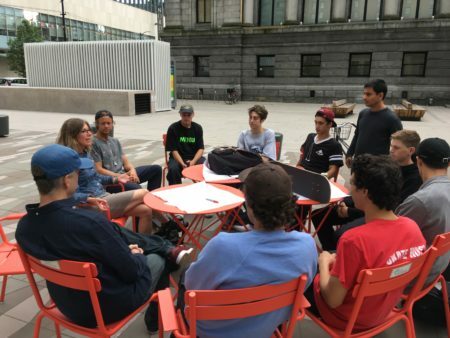 Here are a couple of pics of the VAG North dialogue with City staff…about long-term how skateboarding could be part of the VAG North Plaza. Stay tuned for more information about this matter. Big News for Skateboarders in Vancouver. The City of Vancouver has finally revealed details about its plans to remove the Georgia and Dunsmuir viaducts and build a new 11-acre park in northeast False Creek. But … don’t fear !!!!! The Vancouver Park Board is planning an interim skateboard plaza, that will act as a stand-in for the Downtown Skate Plaza, until they build us a new Plaza 2.0. 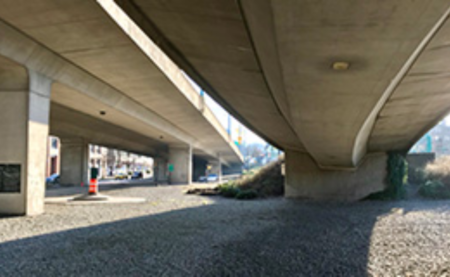 The proposed location for this new interim park is under the Cambie Bridge at Cambie St and W 2nd Ave. The Parks Board is reaching out to and asking to hear from the skateboarding community and the public as they design this exciting new space! Click here for more details on upcoming open houses, design workshops, and a series of stakeholder meetings. 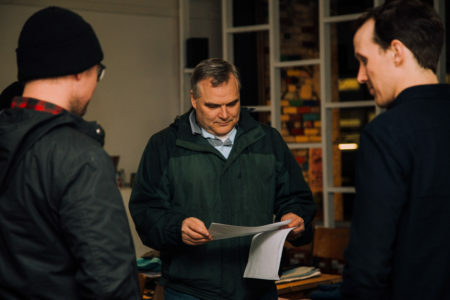 After ongoing consultation with the VSBC, the Vancouver Park Board commissioners introduced a motion to vote on creating a new “Skateboard Strategy” for the city. On July 24, 2017 that motion was unanimously approved. This decision signifies a commitment from our city to create a framework for achieving an effective city-wide network of skateboard amenities. A Skateboard Strategy will help create new skateboard parks, improve existing ones, and promote skateboarding in Vancouver. The VSBC would like to thank the Vancouver Park Board, everyone who wrote letters of support, and anyone else who helped make this happen. We look forward to working with the city to map out this strategy.